During 2018, the Trump administration recognised China as a strategic technological threat. 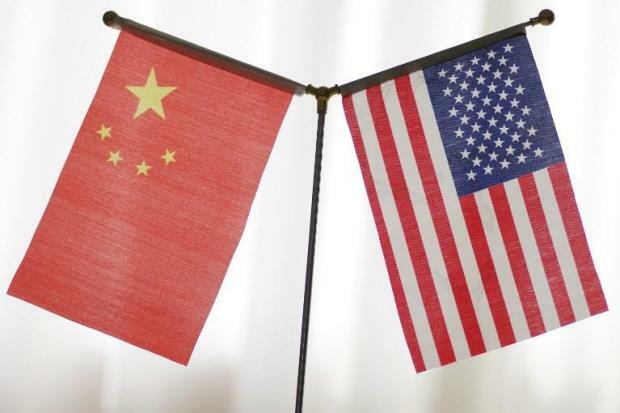 This has led to fears in China that American technology may ultimately become unavailable, which would be a strategic threat to China’s own economic security. This may prompt both the US and China to build their own discrete tech ecosystems. The result could be a “tech cold war” that lowers profit margins, inhibits innovation and disrupts the global supply chains of tech companies in Asia and the US. Consumer sectors and large parts of the tech industry could be hurt by a tech cold war; this could lead to higher prices for consumers and less innovation globally as fewer high-tech developments are shared. However, more high-tech assembly and manufacturing work could return to the U.S., which could be somewhat positive for supply chains for the consumer discretionary, healthcare, and information technology sectors. Artificial intelligence, big data, and the internet of things will still be strong long-term investment themes on both sides of the tech cold war. Central banks have finally started easing back on the stimulus they pumped into the global economy in the wake of the financial crisis. In the US, the Fed is raising interest rates and beginning quantitative tightening by reducing its bond holdings. This approach is being replicated around the world, it is expected to result in higher volatility. More governments are looking to pump fiscal stimulus into their economies, which implies that more sovereign bonds could be issued in markets where central banks are already trying to unload their holdings. This will likely raise rates for borrowers and hurt the more indebted parts of the global economy, particularly emerging markets. If this happens, slower growth and a higher prospect of defaults would be expected. Higher US interest rates would make dollar-denominated debts more expensive to service, which could spark an outflow of capital from emerging markets. Just as quantitative easing boosted many asset classes, creating an environment conducive to risk-taking, quantitative tightening may expose overstretched valuations and make markets more volatile. Higher volatility may create opportunities for those investors who can navigate the new environment. Assets are more likely to be over or under-priced, and active managers can focus on companies, sectors and geographies with stronger overall outlooks in these conditions. Without volatility, opportunities like these are hard to come by. The economic inequality that has been growing in societies around the world is a significant factor in driving anti-globalization sentiment, and it looks like the trend could get even worse. Inequality is a political issue that has helped spur the rise of nationalist and populist parties. It can also drag down growth, destabilize social systems and stress government budgets. Rising inequality is bringing more voters to the ballot box who are disillusioned with the status quo, which could result in new policy proposals that further increase market volatility. Millennials are also set to become an increasingly powerful political force in the next decade – and as a demographic group, they are more likely to demand fairness, transparency and an understanding of how companies contribute to the greater good. Corporations have the ability to address economic inequality by focusing less on profit maximization and labour arbitrage – and more on fair pay and worker training. Investors can encourage management teams to close the gap. Investors can choose to work with asset managers who direct capital into initiatives that are likely to promote future growth in a more sustainable and equitable way.